Los Angeles has cemented its reputation as the quintessential burger town. With hundreds of options to choose from — ranging from classic diner favorites to gourmet artisanal creations — there’s something for everyone. 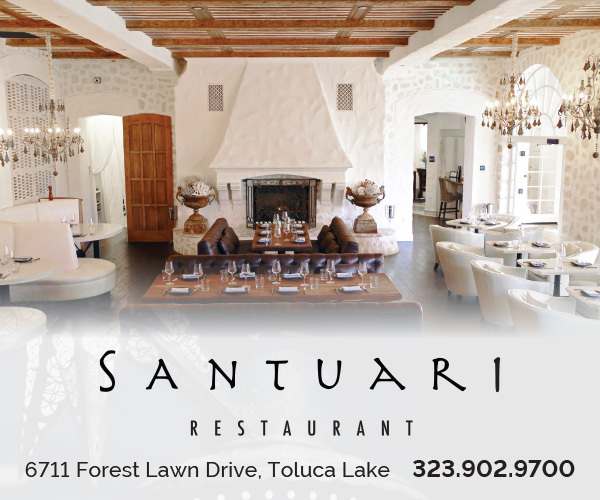 Luckily for us, Toluca Lake and its surrounding areas are full of restaurants serving a variety of delicious burger options that run the gamut from traditional to cutting-edge. Here are seven local burgers we’re loving right now. We couldn’t kick off our list with anything other than Burbank’s iconic Bob’s Big Boy, the oldest remaining Big Boy in America. The diner has stuck with its ’50s-style roots to this day, imparting nostalgic vibes through its classic coffee shop architecture and diner offerings of no-frills burgers, French fries and milkshakes. To add to its retro atmosphere, on Friday nights Bob’s hosts a popular classic car show that draws large crowds to marvel at the vintage vehicles showcased by auto collectors and enthusiasts. On some days, “car hop” service is offered, allowing you to enjoy your food from the comfort of your own vehicle like in the good ol’ days. The old-fashioned establishment has also captured the attention of Hollywood, serving as a favorite spot among directors, actors, musicians and executives alike, with many frequenting the restaurant for a quick bite. Bob’s makes its celebrity status known to customers through film stills of movies in which the restaurant has been featured and a special booth dedicated to the Beatles’ 1965 visit. 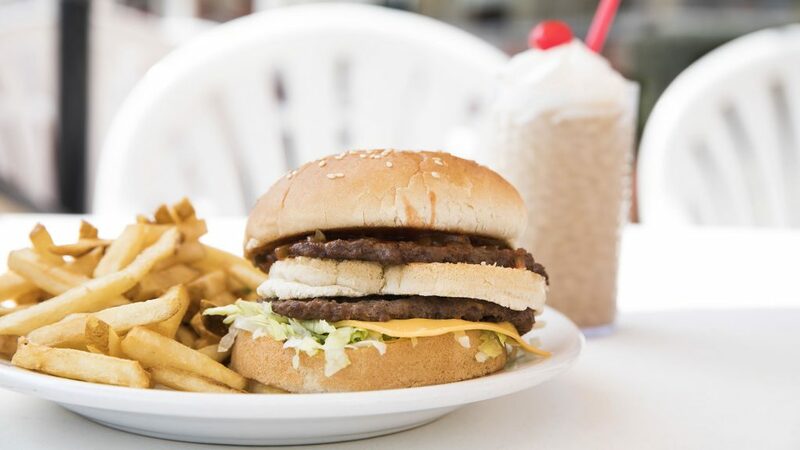 With its combination of historic artifacts and old-Hollywood allure, it’s easy to see why Bob’s Big Boy was named a “State Point of Historical Interest” in 1993. Bob’s is a sight that literally can’t be missed — it boasts a 70-foot-tall billboard sign that, when illuminated, can be seen far down the stretch of Riverside Drive. As for Bob’s burgers, they are as fresh as they were since they first started flipping them in 1949. We like the “Original” Big Boy, a double-decker hamburger with two “never frozen” patties, lettuce, cheese, mayo and special red relish. Be sure to pair your burger with a side of crispy, golden brown French fries and a milkshake for the ultimate nostalgic experience. The Counter is our go-to for the days when we can’t decide what type of burgers or toppings will truly satisfy our hunger. The chain encourages you to unleash your inner chef and creatively construct your own burger. With well over 85 ingredients to choose from, there are a million possible delicious combinations. Experimentation is the name of the game at The Counter, and with unusual toppers like salt and vinegar kettle chips, marinated artichokes, grilled Anaheim chilies, sunny-side-up eggs and four different types of aioli, your imagination is sure to run wild. Or, for those who may be overwhelmed by the sheer volume of DIY burger options, The Counter offers a nice array of signature burgers that are the perfect examples of what successful experimentation looks like, with wild pairings such as a bison patty with Gouda (Bison Is Gouda burger) and a beef patty with garlic aioli and gochujang (Korean BBQ burger). Located at the heart of the NoHo Arts District, District Pub is not your typical gastropub. Alongside its seasonally rotating selection of 24 craft beers on tap, the pub offers a wide selection of juicy gourmet burgers on toasted brioche buns, as well as gourmet sausages ranging from traditional bratwurst and kolbasa to more exotic alligator and lamb. The happy-hour haunt offers a laid-back atmosphere, perfect for closing out the night after an evening spent taking in the scene at the neighboring art galleries and theaters. The namesake District Burger has received wide acclaim — and for good reason. The Creekstone Angus beef patty is topped with caramelized onions, a cherry tomato thyme jam, arugula and gooey fontina cheese. Pub owner Robert Rostomyan shares that his personal favorite burger, the Red Line Burger, has a bit more spice compared to the crowd favorite. This burger is topped with double cheddar, grilled onion, jalapeño and the District’s special sauce. Along with your burgers, be sure to order a sausage and some sweet potato fries for the table, and don’t forget to ask the knowledgeable bartenders about the District’s “Beer of the Week” to pair with your feast. Known for its old-fashioned cocktails, Forman’s has cemented itself as a prime happy-hour spot on Riverside Drive. The tavern concocts some of its signature drinks with its own blend of Woodford Reserve barrel-aged whiskey and offers a selection of craft beers. Alongside these drinks, you’re likely to see burgers lining the tavern’s long communal dining table. 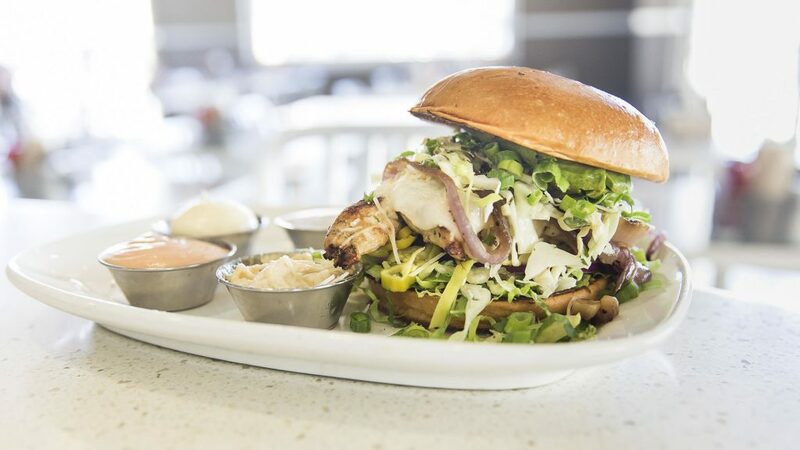 Its standout burgers are all ground fresh daily and prepared in- house. 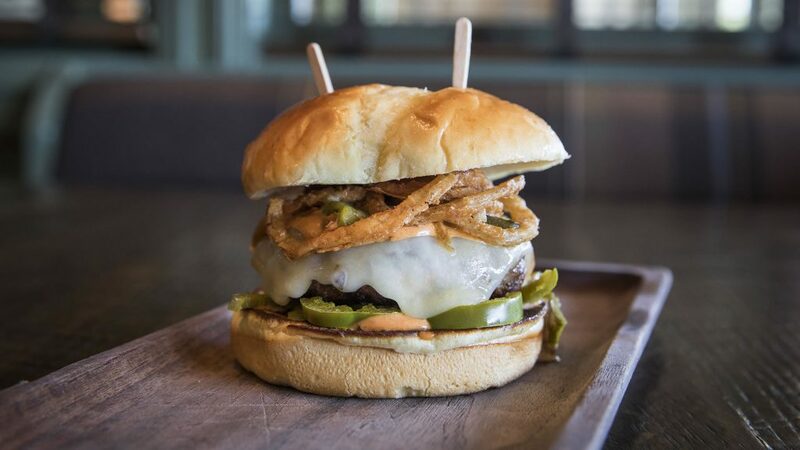 Our pick, the Jalapeño Burger, was featured on Zagat’s list of “10 new burgers you need to try” this summer. The delectable patty is made from three different cuts of freshly ground beef, perfectly seasoned and grilled. The burger’s bold kick comes from its finishers: a tangy chipotle sauce, jalapeño and poblano peppers, melted pepper jack cheese and, topping it all off, a large heaping of crispy onion rings. A must-try, indeed. Just down the street from Bob’s Big Boy is Patys, another Hollywood favorite. Built in the 1960s, Patys has served its diner classics to celebrities such as John Wayne, Bob Hope and Debbie Reynolds. What’s more, the restaurant’s fabled “Green Room” is said to have been the site where some of the biggest Hollywood movie deals have been made. Storied history aside, Patys remains a local favorite to this day. Throughout the years, however, it has added contemporary updates to its retro underpinnings with trendy furnishings and more diverse menu items. Named “Best Retro Diner” in 2011 by L.A. Magazine, Patys is a worthy addition to our list. The fresh-ground Angus burgers have been a popular choice at the establishment for over 60 years. 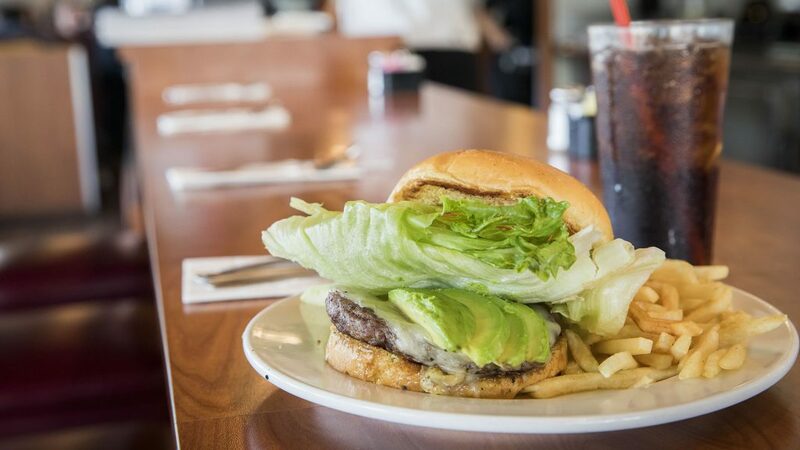 We like the California burger, an updated take on the classic cheeseburger, with its generous helping of avocadoes, crispy lettuce and perfectly melted Swiss cheese. 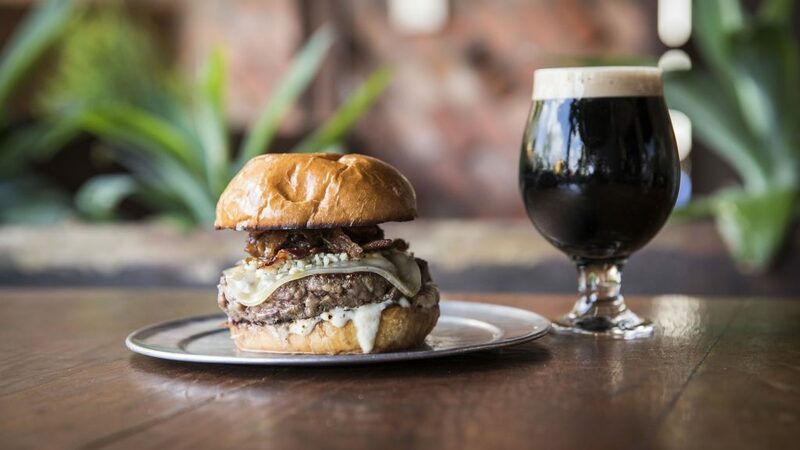 Stout offers a sophisticated twist to the age-old pairing of burgers and beers. Located in Studio City, this upscale community restaurant and bar features a highly curated selection of hand-crafted microbrewed draft and bottled beers. Alongside its sizeable beer menu, Stout has a mouthwatering selection of Stout Blend beef burgers, ground in-house daily. With additional options of organic ground chicken or quinoa-based patties, there are burgers to satisfy just about any appetite. Our choice is the Stout Burger. The unexpected combination of blue cheese, Gruyere, rosemary bacon, caramelized onion, horseradish cream and roasted tomato toppers are full of flavor and add to an already well-seasoned patty. It also pairs extremely well with any one of Stout’s IPAs. At Umami Burger, it’s all about flavor. 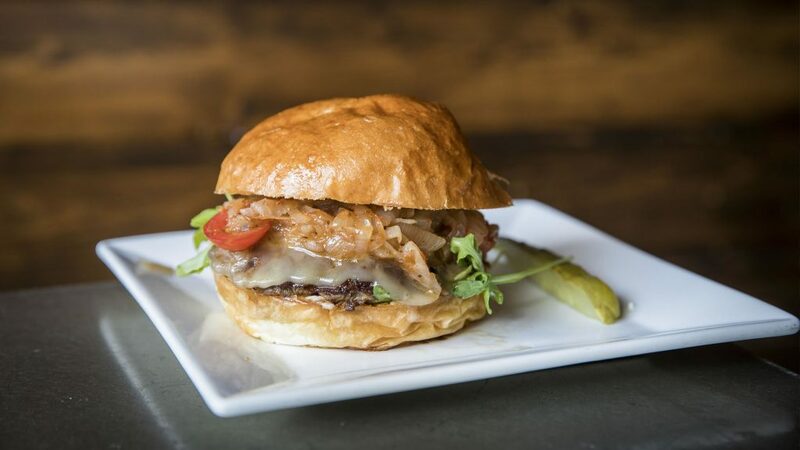 The term umami, which means “deliciousness” in Japanese, aptly describes the complex punch of flavor that’s delivered in every rich and savory bite of its signature burgers. Umami first appeared in Los Angeles in 2009 and kick-started the new-burger trend, reinventing the way we think a burger should look and taste. With unique, gourmet ingredients like bacon lardons and beer-cheddar cheese in its Manly Burger and truffled aioli and truffle cheese in its Truffle Burger, Umami upped the ante in California’s burger game. For the uninitiated, we like the original Umami Burger. Its signature patty topped with Parmesan frico, shiitake mushroom, roasted tomato, caramelized onions and Umami ketchup. Don’t forget to order a side of truffle fries for the table. 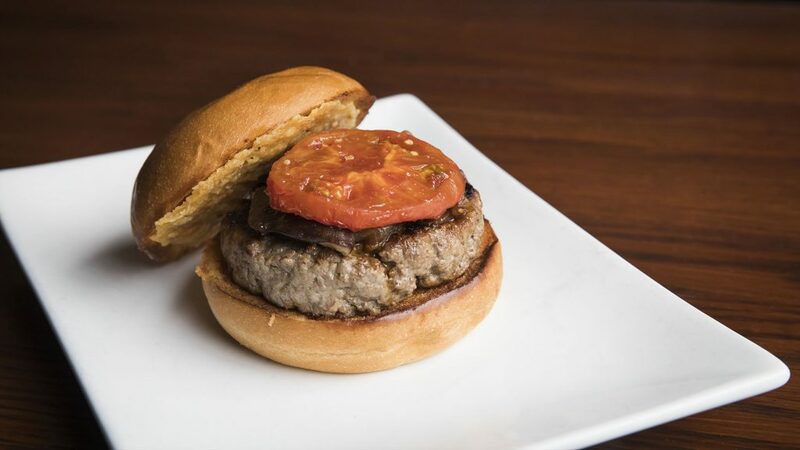 For vegetarians and vegans, select Umami locations offer the “Impossible” burger, a unique burger that looks, smells, cooks and tastes like ground beef, but is made entirely of plants. To learn more about Umami Burger and the Riverside Drive location, check out our interview with founder Adam Fleischman.